The Beekman Group celebrates 48 years of operation in 2018. Located at Port Shepstone on the South Coast of KwaZulu-Natal, the Group's impressive head office is a testimony to its ongoing success. Brothers, John and the late Bram Beekman started their business careers in the painting industry. This successful venture allowed them to follow a totally new path. They moved to Durban in 1980 and opened their first Vacation Ownership resort on the South Coast. 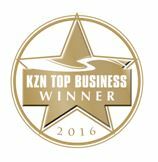 From there, the business grew to become a leading corporate player in the South African leisure industry. 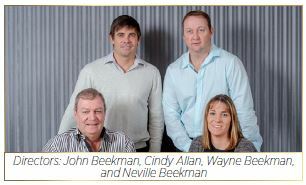 The Beekman Group's management was handed over to the younger generation and cousins, Neville Beekman, Wayne Beekman and Cindy Allan, lead a dedicated team. However, John Beekman is still on hand to offer advice. Wayne Beekman said, "The legacy of a family business is significant in that we all have a vested interest in making certain that the company thrives. We are all committed to its continued growth." Cindy Allan added, "Our various professional competencies complement each other and allow for the smooth functioning of the business. In addition, if business challenges come up, we are able to talk these out comfortably. We meet regularly to ensure that the family unit is in agreement over any decisions impacting on the business." The need to adapt to ever changing market demands is also well recognised. "It is important to evolve with the marketplace. The company is not top heavy and is not pressurised by bureaucratic demands, which enables decisions to be made quickly and for us to change direction as demand necessitates," said Wayne Beekman. The Holiday Club™ was launched in 1993 and is the largest vacation ownership club in Africa. Anytime Holidays is one of the fastest growing arms of the business. It provides self-catering daily rental holiday accommodation as well as upmarket hotel rooms in various locations across South Africa. iExchange is an innovative timeshare exchange company which offers owners the flexibility to choose from thousands of other holiday resorts locally and internationally. Vacation Management Services manages 33 holiday resorts. This includes overseeing the day-to-day operations, such as maintenance and housekeeping, and providing owners with high standards of accommodation in a secure environment. Body Bliss Day Spas are located in the Group's selected resorts across the country and offer a wide variety of professional spa treatments designed to get their clients in the perfect holiday mood. The Group also diversified in 2002 and boasts a commercial, warehousing and factory portfolio of R350 million. The solid and caring nature of the management team has resulted in the company's recognition as an employer of choice. The head office's location on the South Coast has created a great lifestyle opportunity for staff to work and live, and this is reflected in the Group's staff retention rates. The group now employs over 1000 staff countrywide and at the head office. eco rooftop garden, and a café with a professional chef. The Beekman Group is determined not to lose sight of its core focus, which is to provide customer-centric and professional holiday services. The company mascot, Max Relax, an African tortoise, well illustrates the desire to provide exceptional facilities to the many holidaymakers that make use of the Group's service offerings for their leisure requirements. The various awards that the Group has received over the years bear testament to this goal. Due to its achievements in the industry, the Group is confident about the future and looks forward to continued growth, especially on sales of its Beekman Managed Portfolio offerings. members of our Vacation Ownership Division. We endeavour to be industry leaders and have embarked on a mission both locally and internationally to achieve this.